What’s black and white and red all over? An embarrassed penguin! Ha ha ha ha ha! Aren’t we hilarious? Okay, to be honest, we found that joke on the Internet. 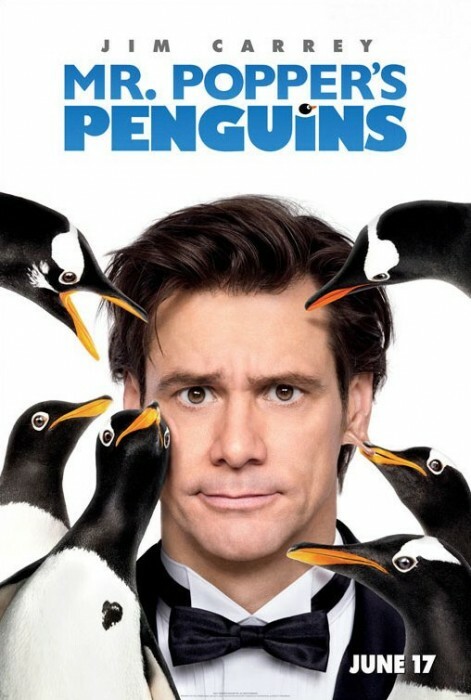 But we really did create the video review below, for the new film Mr. Popper’s Penguins, starring Jim Carrey. So take a look and see if we found the movie positively perfect, partially pleasant, or plainly putrid! Have you seen the new Mr. Popper’s Penguins movie? Leave a comment with YOUR review! How do you think it compared to the book? And what was YOUR favorite penguin moment? I was quite disappointed that the movie was so different from the book. Loved the book and sharing it with my primary students. The movie did not even come close to my expectations and was so totally different that I think it was deceptive to give it the same title. This movie is great my coison said it was great! My favorite scene is when he teaches the penguins to dance to a rap song!